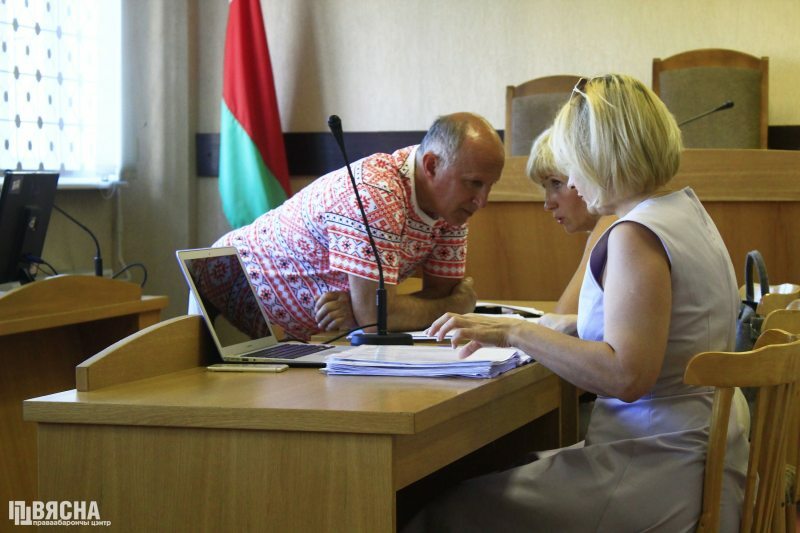 The trial of Henadz Fiadynich and Ihar Komlik, leader and accountant of the trade union REP, is coming to a close, after the prosecutor asked the court to sentence both to 5 years of limited freedom. If the judge sides with the prosecution, part of the unionists’ property will also be confiscated. According to Fiadynich’s lawyer, the case file misses any evidence of her client’s guilt. “Neither border crossing, nor transportation of money is a crime under Article 343 of the Criminal Code, which only provides a penalty for tax evasion. However, in support of this fact the prosecution only presented questionable witnesses, whose testimony was explained in favor of the prosecution,” she said. The sentence is expected to be announced on August 24. On August 13, a court in Minsk rejected a complaint by Pauliuk Bykouski, a Deutsche Welle reporter, who was detained, together with several more journalists, in the so-called “BelTA case” (opened after the government-owned news agency’s director said that journalists of tut.by and belapan.by illegally accessed BelTA’s paid service). The appeal was heard behind closed doors. Bykouski argues that his arrest was illegal. He is also seeking the return of computer equipment taken by the police during a raid on his apartment on August 8. 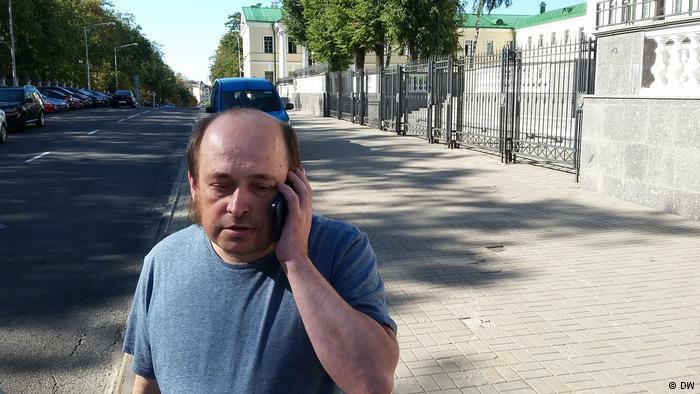 The journalist says he is going to continue appealing against his arrest. “The evaluation of whether it was legitimate or not alone is important enough,” he stressed. 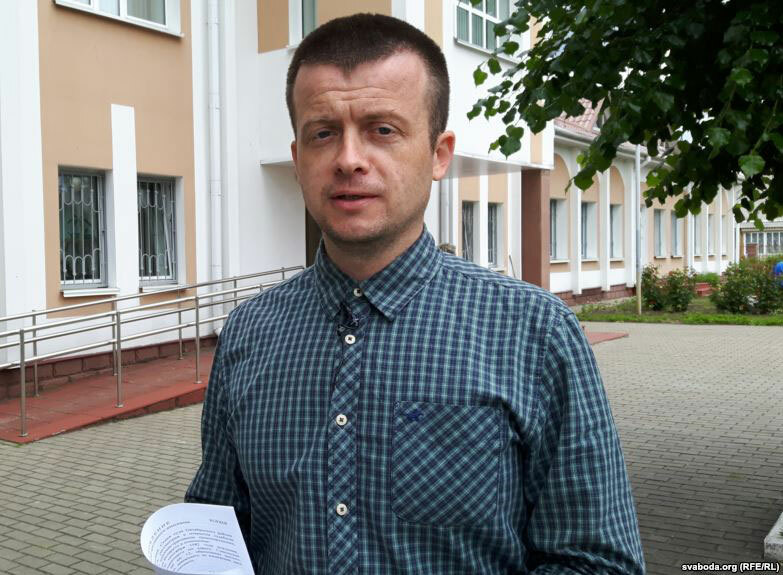 The absurd of the Belarusian judiciary seems to have reached new low, after blogger Andrei Pavuk, who was complaining about a ban on attending the meetings of an executive body in the town of Akciabrski, said that he saw a ruling in the case even before the trial was closed. Pavuk took a photo of the paper, which he says was left in the courtroom by the prosecutor, and posted it on Facebook. As a result, the judge was forced to excuse himself from the case, saying that the incident might question his impartiality.